The name everybody thinks about when speaking of Contemporary Chinese Art is Ai Wei Wei. 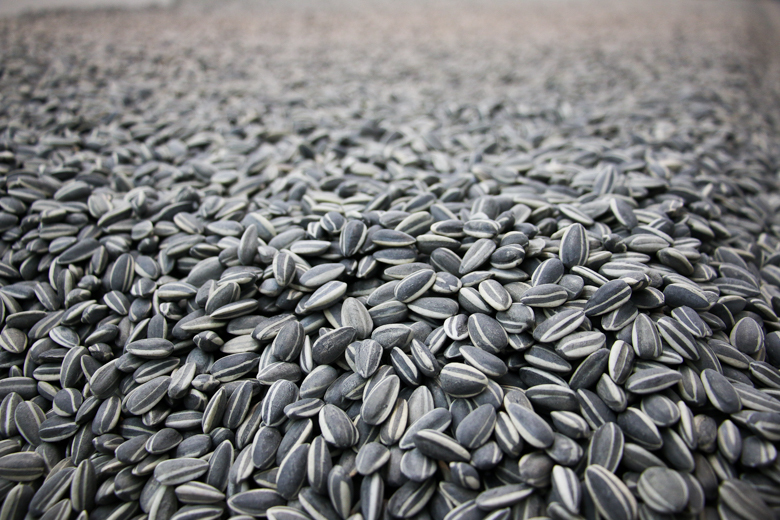 He and his sunflower seeds, and the grand installments made of individual units has always been the center of the Chinese art topic, whereas his political struggle and rebellion adds more spices to his art. On the other hand, an increasing number of Chinese artists have stepped onto the global stage in the past few decades. 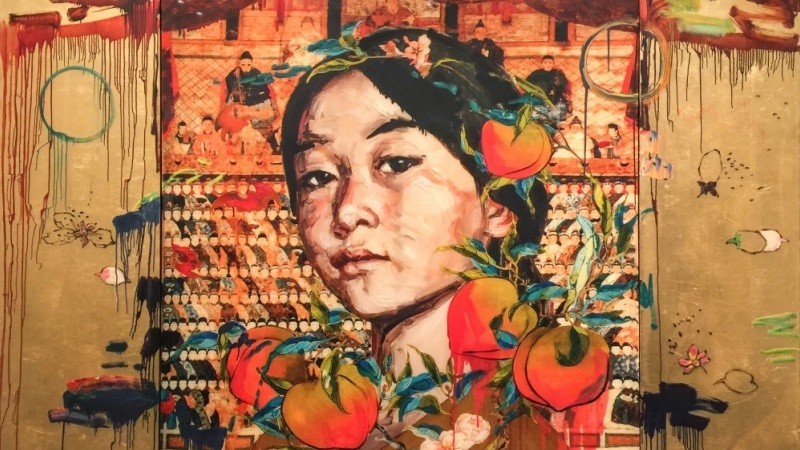 Although China is still frequently known as the communism country with oppression and somewhat of a xenophobia, its art scene has never stopped growing. In this day and age, art is always closely related to social issues and political turmoils. When it comes to the Chinese society, things get a bit more complicated. So I’d like to introduce you to three major narratives in contemporary Chinese Art. Each of these narratives have been the driven force behind the aspiring Chinese contemporary Art Scene, and reflects a bit how Chinese artists are trying to use their voice to cure the society. Individualism in Western countries is heroic and glorious. Individualism in China has always been condemned and stigmatized. Have you ever attended an international business training session? If so, you would see how China’s understanding of individualism is often recognized as one of the most significant cultural differences that often obstructs a successful business relationship. While the government continues to emphasize the value of collective benefit and submissive group behavior, the art world of modern China has always been fascinated with individual beauty. Although Ai is not the first person to put emphasis on individualism, nobody has done it in such a cold, scientific and artistic way yet remains the capability of creating massive emotional impact on people who understand China’s way of erasing individuality. I also mentioned that I personally was not the biggest fan of Ai’s work. However, if you want to talk about the core narrative in contemporary art of China, there is no way you could avoid mentioning him. Another artist who shed light on the beauty of individuality, and the massive energy beheld by each individual which, together, could create a magnificent collection, was Qiu Zhi Jie. In his famous Chinese calligraphy art “Writing the Orchid Pavilion Preface One Thousand Times,“ he repeated an ancient Chinese essay for a thousand times until the surface is completely covered with black ink. The viewer is only able to see the strokes of the Chinese characters on the dark surface. If one viewed close enough, one could identify strokes on the edge of this gigantic ink block. To me, most of Qiu’s works are dark prophecies — pessimistic exploration of China’s individualism, whereas exposing how groups, which are also formed by individuals, played the roles of oppressors upon the others. Qiu currently teaches at the Central Academy of Fine Arts and performs as head of the Department of Experimental Art. Unlike Ai Wei Wei who went fully rebellious and slashing China’s political system, Qiu took a different path and stroke to maintain his integrity as an artist with in the system, the censorship and more. In an interview, Qiu stated that he “cares about ordinary people” and that’s why he wants to study them, and use his art to create positive influence for them. A similar idea is perceived by numerous contemporary Chinese artists. From Taiwan, Hong Kong to Mainland China, the beauty of individual has been gaining increasing spotlight. Genre painting focusing on ordinary or even trivial life of individuals and families constitutes one of the most significant part of contemporary Chinese art. While many artists choose to stay overseas, more are amazed of the Chinese vernacular culture and emerged themselves into the society. We know new contemporary art is all about experiment. However, for artists born and grown in a conservative culture, experimental spirit does not come out of the blue, especially when most Chines art academies still lay their focuses on teaching traditional media and conventional aesthetics. However, in the past few years, a venturous spirit gradually influenced Chinese artists. 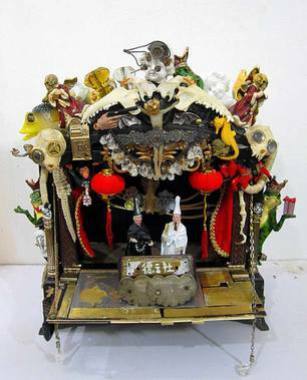 Experimental art, especially mixed media art has gained growing attention in the contemporary Chinese art circle. The introduction of new media in art creation has largely changed China’s art landscape. It has also given Chinese contemporary artists more opportunity to voice on a global stage. Collage, paper marche, metal, resin and other media provided more flexibility in the method an artist sends a message. As a country with a profound history, China leaves her offspring with uncountable resources reflecting the culture built through thousands of years. From a piece of cloth to an old photograph, almost every aged item in China carries a heart-touching backstory awaiting exposure and discovery. One of the most representative Chinese artists making use of these old items is Hung Liu. Liu is predominantly considered as a painter. However, her mixed media work and site-specific installations also significantly shook the landscape of contemporary Chinese art. In her works, she often plays with old photography left through China’s long history. War, dislocation, suffering… this artist is not hesitant in exploring the dark topics many Chinese people may not be ready to confront. Therefore, the exploration of material is ultimately the exploration and re-interpretation of history and the Chinese culture as a whole. The venturous experiment with mixed media among modern Chinese artists, may it be painting or sculpting, is a new way to understand our own culture and respond to the external influence created by the global world. As an artist, I have stayed with watercolor for my first two years of career. The more I explore the medium, the more I realize the restriction in single-medium painting. As lovely as watercolor, or acrylic, or oil is, there is a structure that can only be achieved with mixed media. The engagement of not only the vision, but the other senses as well is what makes mixed media art interesting and provocative. In the meantime, the exploration of new materials is by no means a symbol of departing from the part. Rather, it is safe to say that contemporary Chinese artists have never been more keen of mingling classic Chinese culture, doctrines and symbolism into their adventure of contemporary art. It is never right to abandon history. The pain, the regret, as well as the profound cultural heritage is as beautiful as the modern world. For a long time, the Chinese art world is split into halves: one half emphasizing the traditional images and techniques, whereas the other half seeking innovation in a way that they completely take the opposite direction from our tradition. The idea of ridding thousands years of cultural inheritance would sound odd to an outsider. However, China still bears the scars from a cultural massacre half a century ago during the Mao Dynasty. During that ten years, classic culture, as well as private property, individual virtue and other fundamental elements of ancient China was demolished to its roots, causing artists such as Ai Wei Wei to rebel once they survived the chaos so completely that they might even seem to be revoking their Chinese identity. Nonetheless, in the past few decades, contemporary Chinese artists begin to awake to the beauty of our own culture, leading to somewhat of a renaissance not in form and style but in symbolism and values. My favorite new classic Chinese artist would be Vicki Lee (杉泽). His art is a combination of traditional Chinese ink painting techniques and the modern watercolor medium. In his paintings, one can clearly observe traits of western illustration theories, such as the strong motion, the use of white and negative space. On the other hand, Lee utilizes classic Chinese painting techniques. For example, while his art creates a strong contrast between dark and light tones, overall, they rarely display a sharp value contrary. In the meantime, most of his art displays a clear multi-point perspective, or cavalier perspective, which is one of the key features in traditional Chinese ink paintings. Another artist who redefined classic Chinese art is Liu Kuo-Sung, the pioneer of modern Chinese ink art. Liu is recognized as “the father of modern Chinese ink painting” as he carries a unique skillset that creates beautiful textures in his ink painting. In other words, the Chinese renaissance is a re-discovery of themes traditionally emphasized in Chinese art, such as legends, mythologies and landscapes. It is also an experimental study of classic techniques, especially the ink painting. Altogether, these major narratives are pushing contemporary Chinese artists more and more into the global spotlight. Art cannot progress without adventures and experiments. By introducing non main-stream topics, looking into the past with fresh eyes, and experimenting with new media, contemporary Chinese art is by all means evolving into its new self.